The Turneffe Atoll Marine Reserve Management Plan is meant to guide the management of the Marine Reserve for its initial five years. 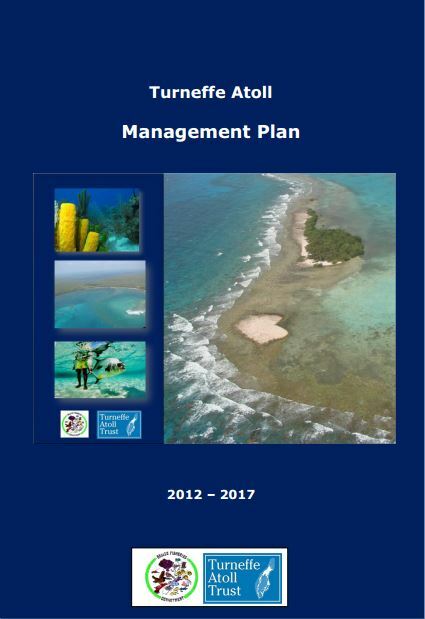 The Management Plan was developed through an extensive consultative process with all Turneffe stakeholder groups and it has been acknowledged as the most comprehensive Marine Reserve Management Plan to date in Belize. The Management Plan was funded by Turneffe Atoll Trust through an Oak Foundation Grant. It was drafted by Zoe and Paul Walker/Wildtracks and it is dedicated to 'Mustafa Toure' who spent much of his professional life championing conservation issues in Belize and particularly Turneffe Atoll. Turneffe Atoll is a model of effective planning and management that ensures that the unique ecological values and associated social and economic benefits are used sustainably for future generations through active stakeholder stewardship.